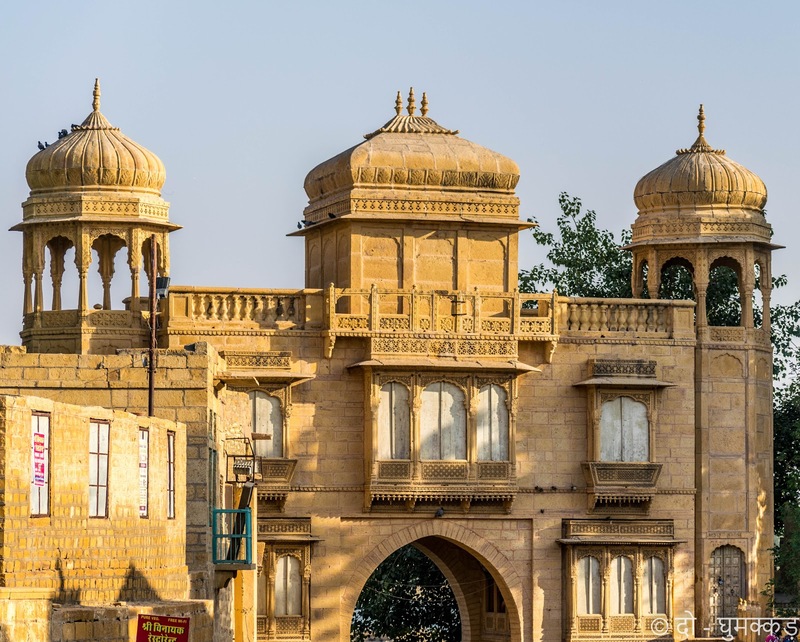 The giant sandcastle overlooking the city is the cherished aspiration of every travelers, either from India or abroad. 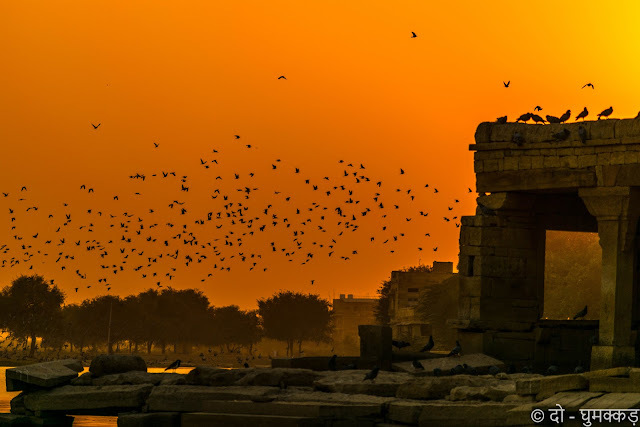 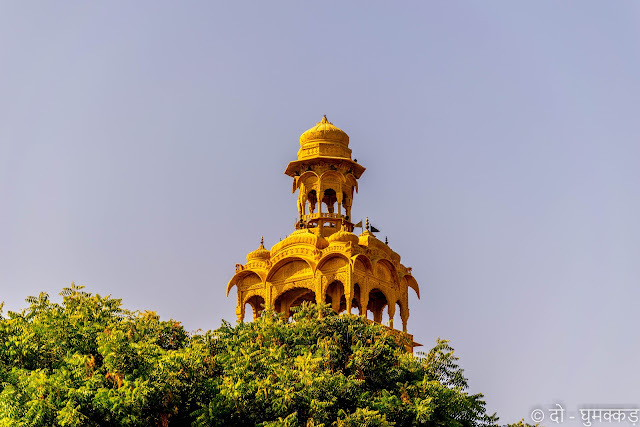 The sandstone, the city is built from, took the color of sun and cleverly camouflaged with the changing rays, justifies the name of "Golden City". 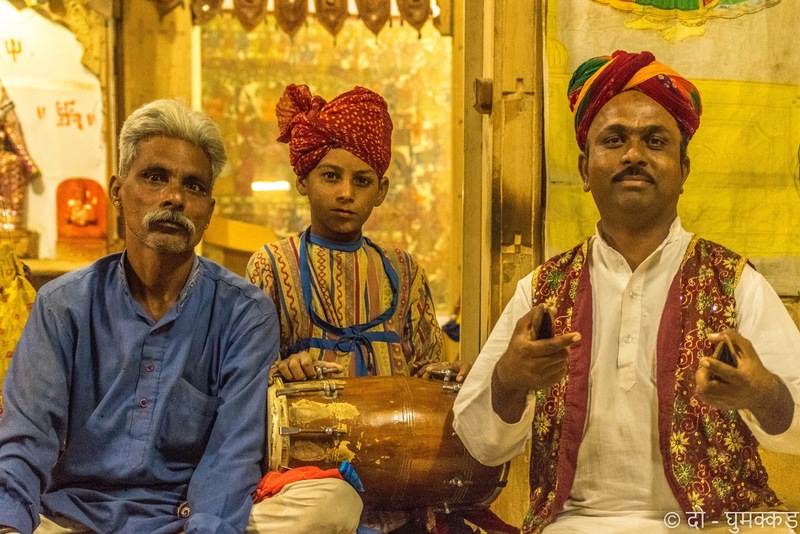 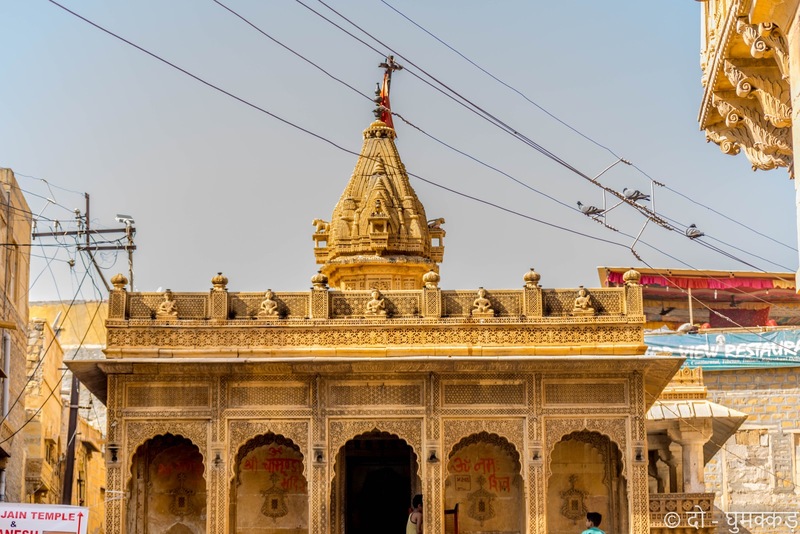 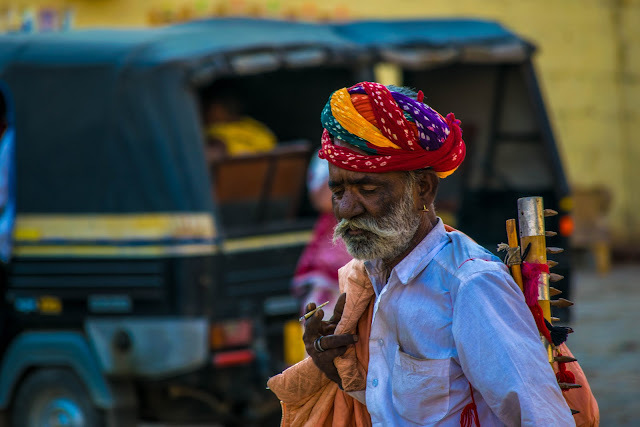 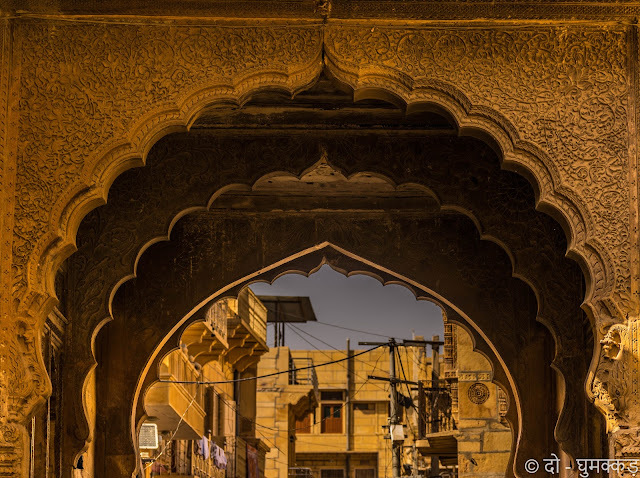 Time passes very fast and now this remote city of colorful Rajasthan is well connected by air, road & rail and attracting travelers from all across the globe. 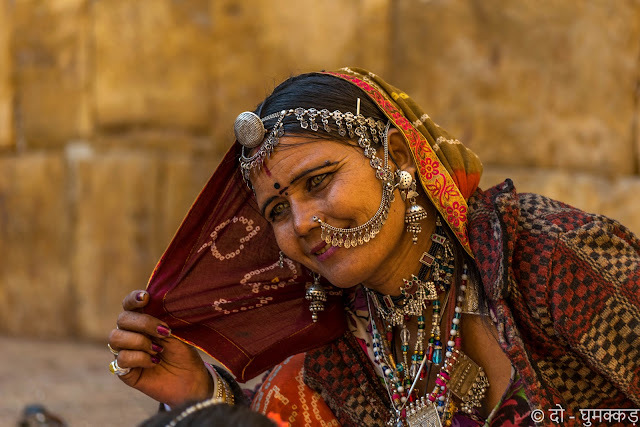 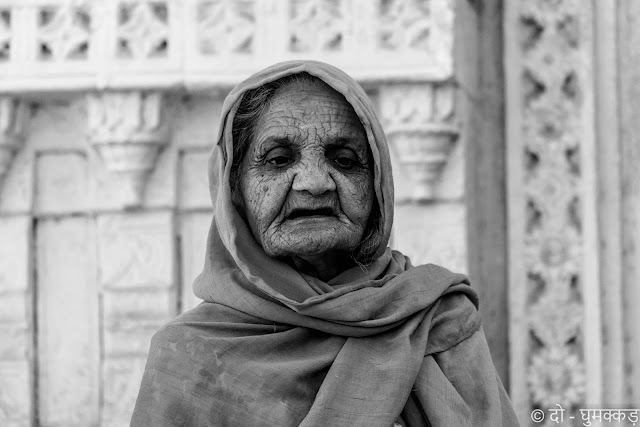 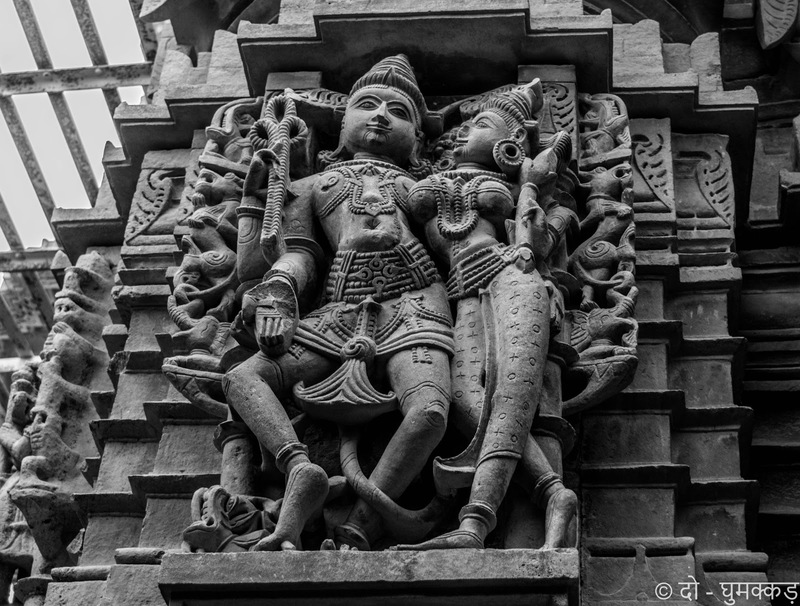 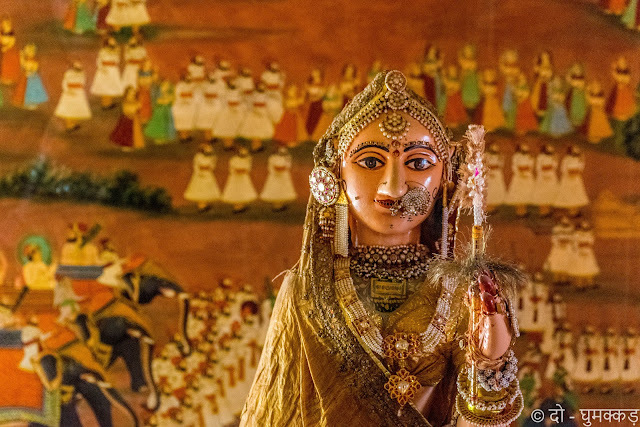 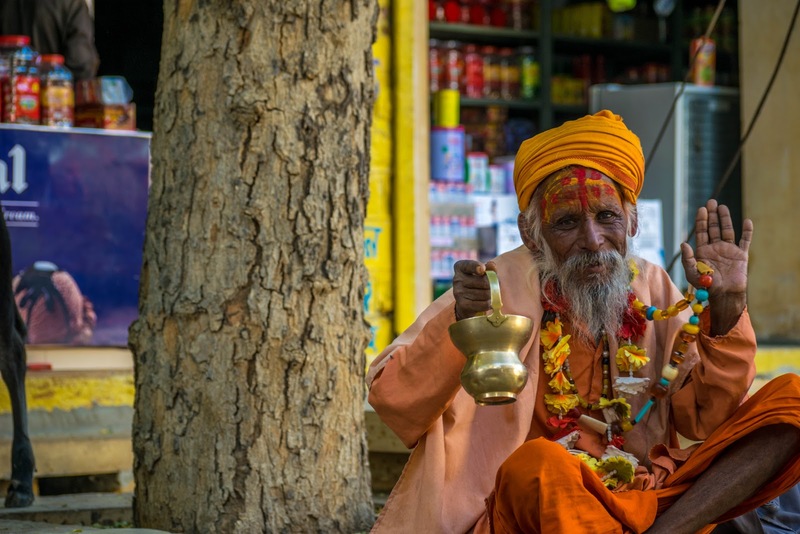 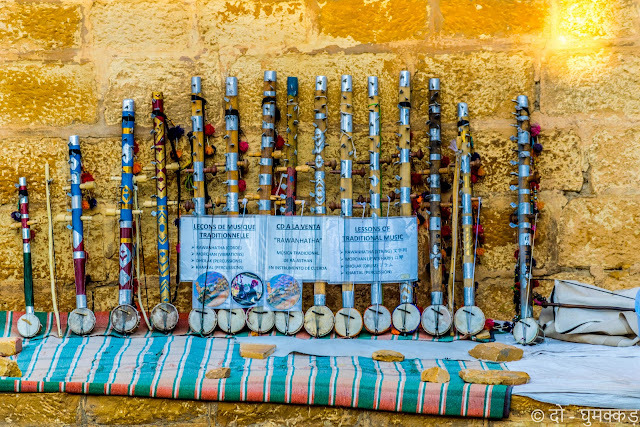 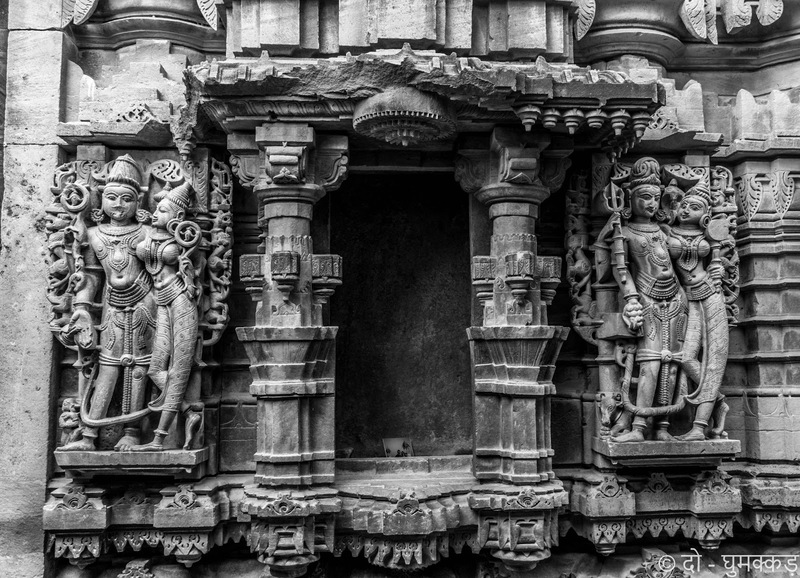 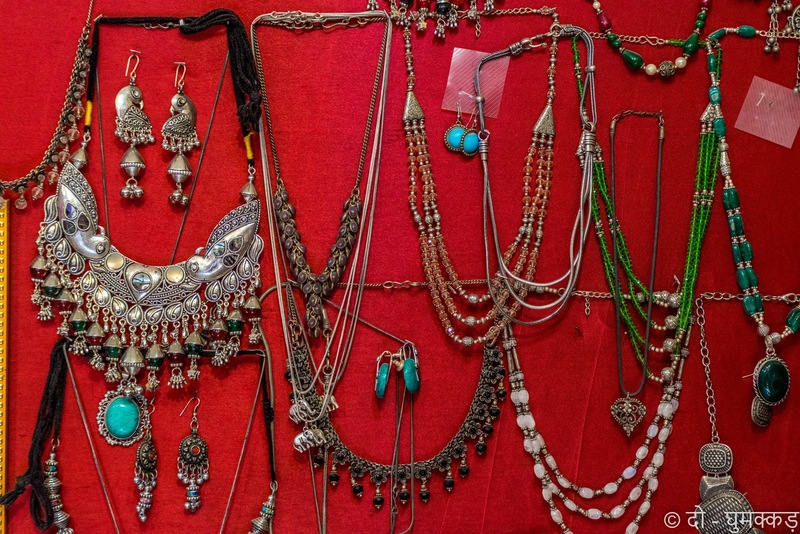 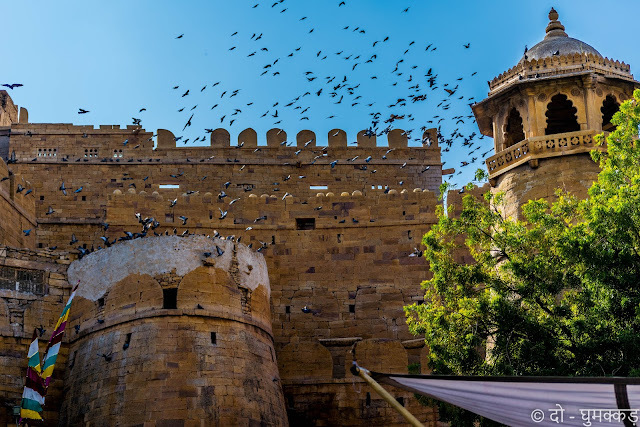 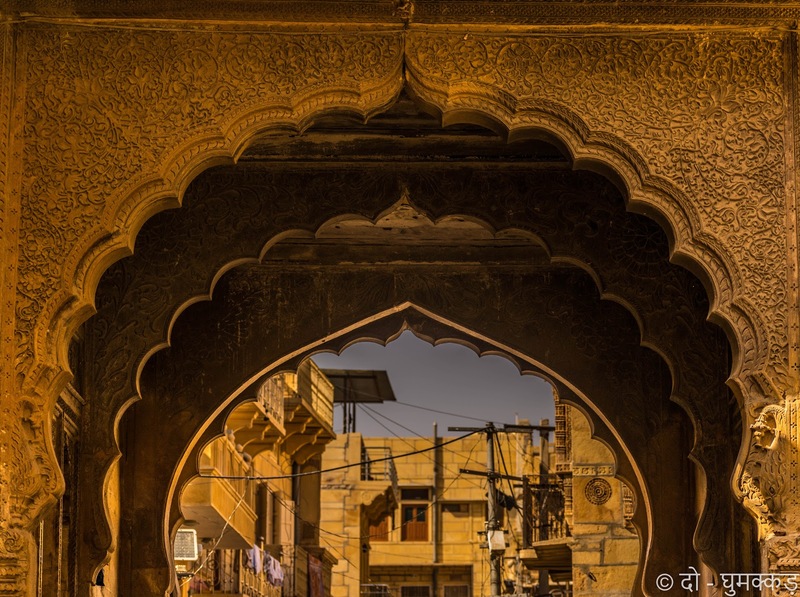 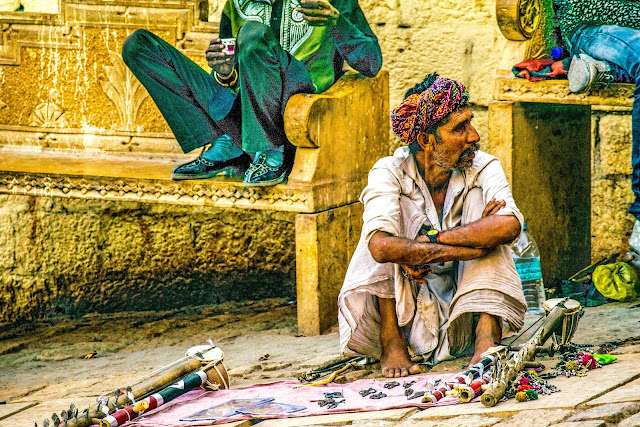 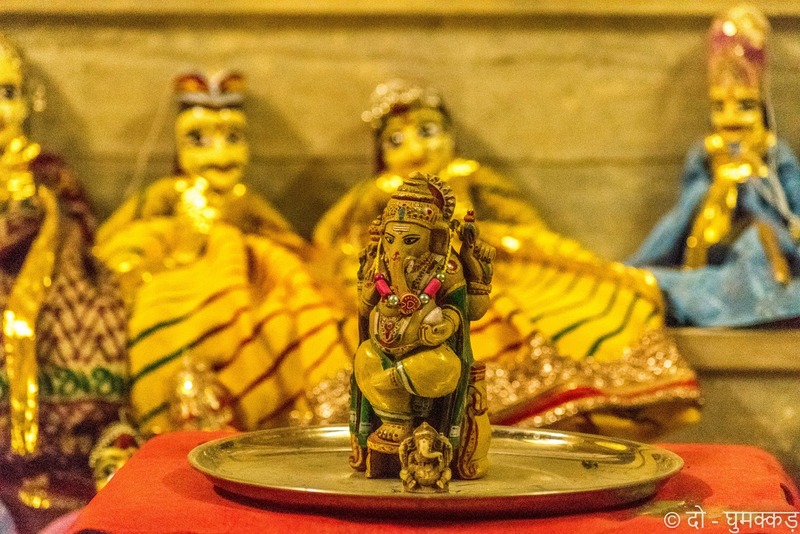 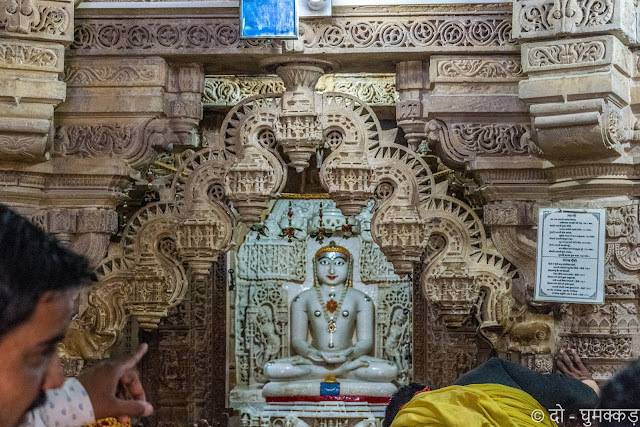 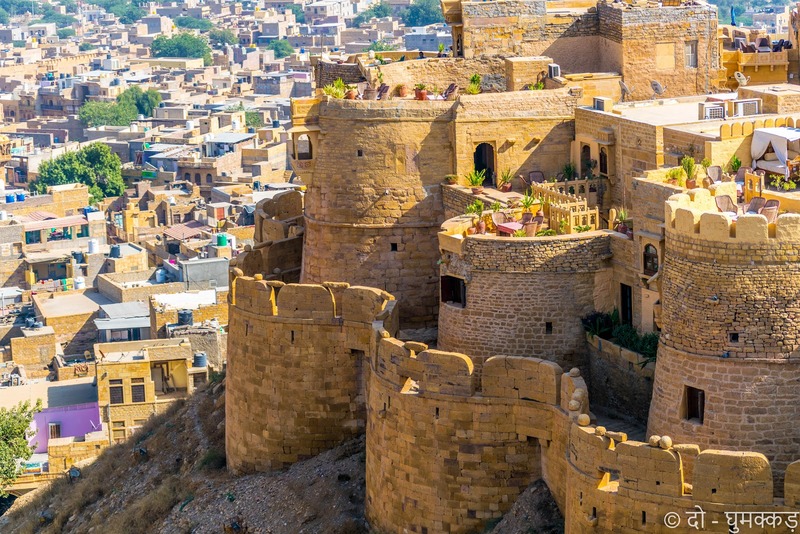 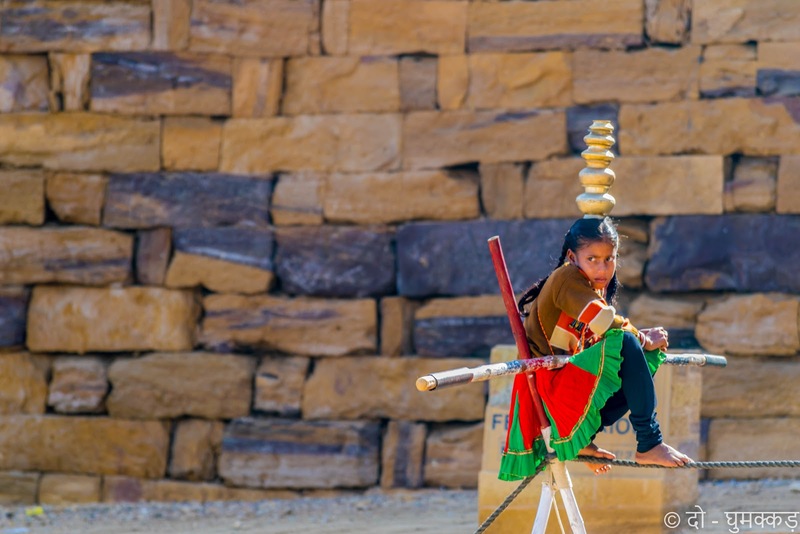 Once bustling with trade to Persia, Jaisalmer is now another ancient city stuck in its past. 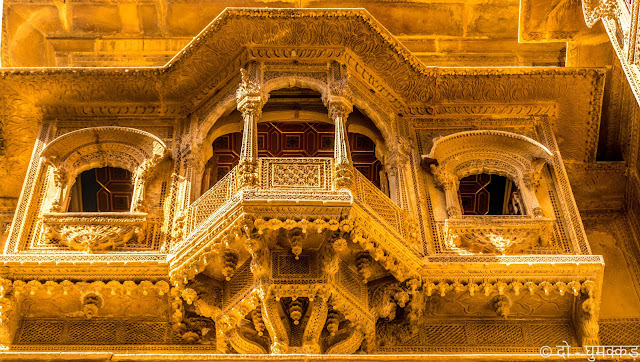 But still every sandstone of this Golden City tell the tales of royalty and chivalry of Bhatti Rajput kings very proudly. From giant Jaisalmer fort to series of Havelis, make this city most breathtaking sight of the subcontinent. Apart from this, scenic Gadisar lake, miraculous Tanot temple, Longewala battlefied and Sam dunes of Thar desert are other atrractions, travelers can't give a miss. 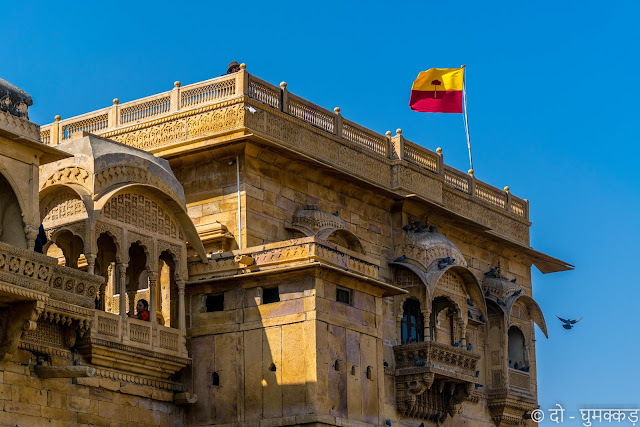 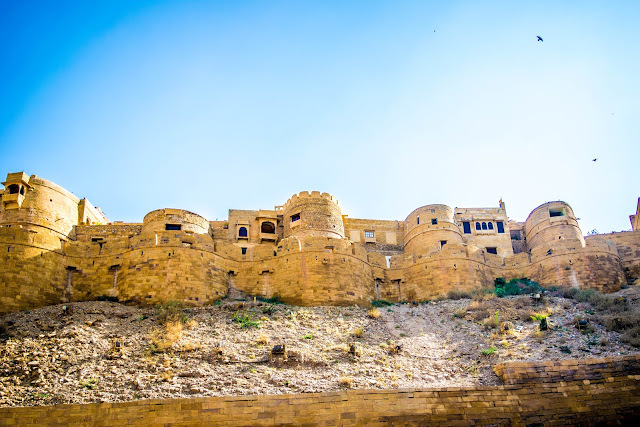 The 860 years old sandstone fort of Jaisalmer, in the isolated far western corner, is still inhibited and one amongst the living forts of world. The fort is literally a giant real life sandcastle. Built back in 1156, Jaisalmer's fort encloses not only the palaces, but several Jain temples and dozen of beautifully carved Havelis. 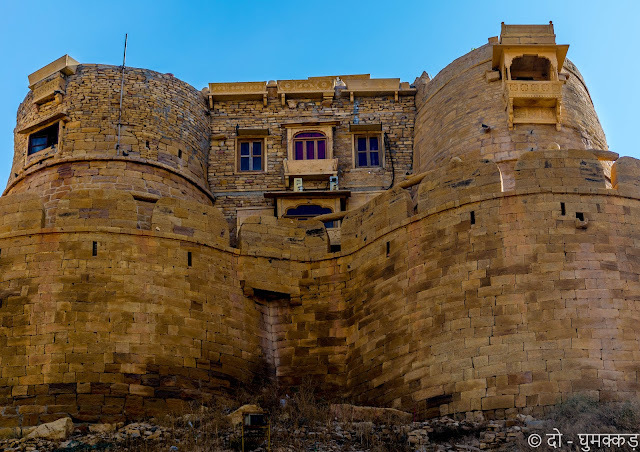 The massive sandstone walls are tawny during day, turning into a magical honey-gold as sun sets. 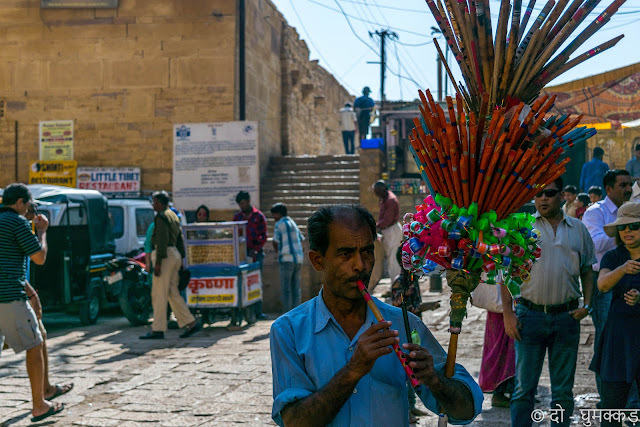 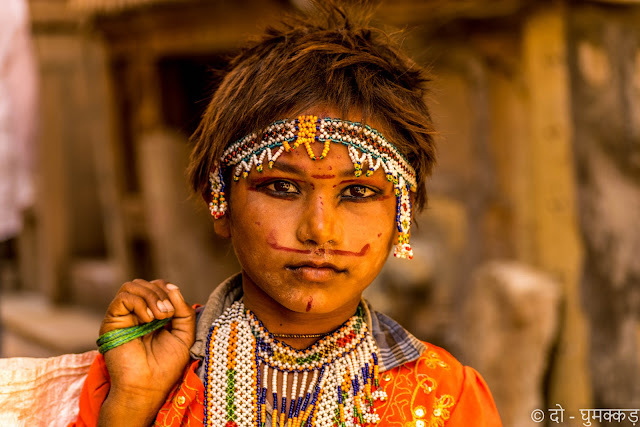 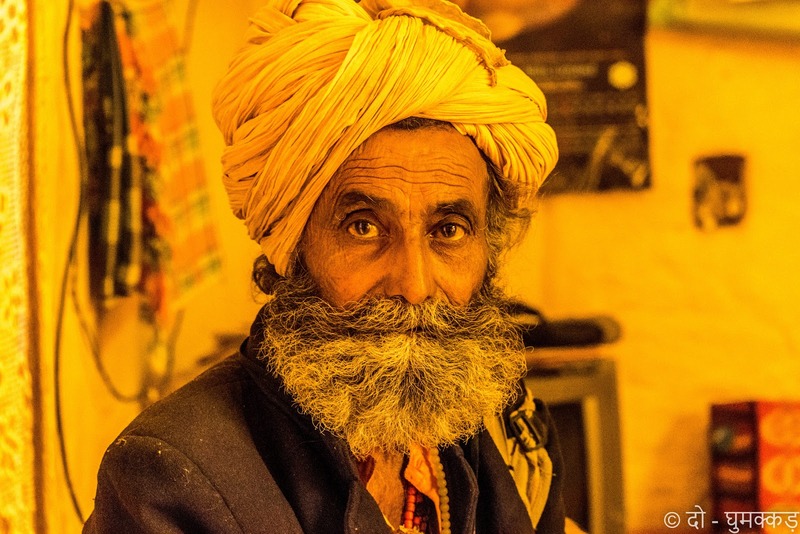 The narrow street filled with colorful costume and sovenirs making this fort more vivid. 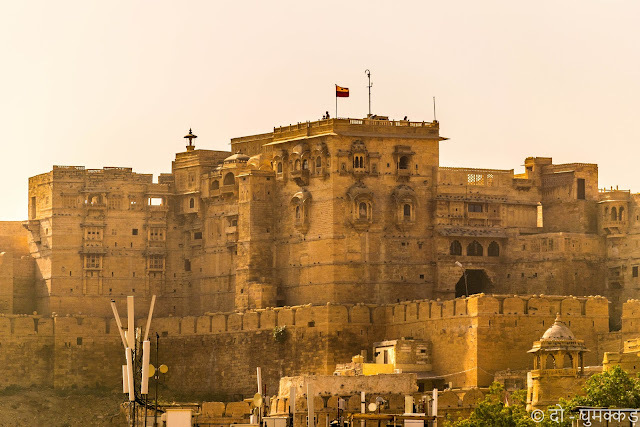 The grandeur of fort attracted the famous Indian film director Satyajit Ray very deeply and subsequently he wrote a detective novel based on this golden fort, and later turned it into a film- "Sonar Kella". 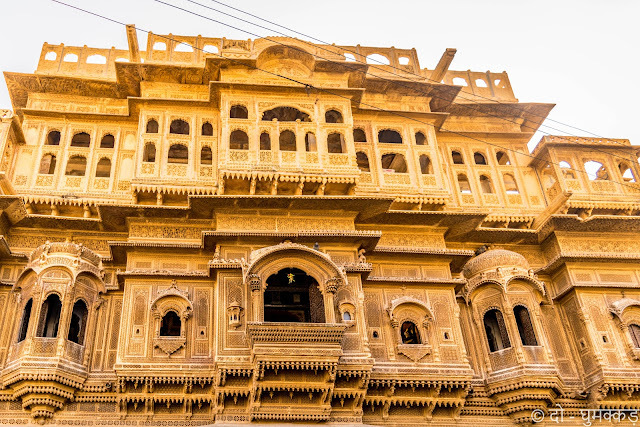 Huge splendiferous mansion of merchants and ministers are the other attractions of Jaisalmer. Patwon-ki-Haveli, quite grandstand, is a collection of five houses, each one for the son of wealthy trader, who made money by lending to the government. The complete view of Jaisalmer fort from the top of these Havelis captivated us. 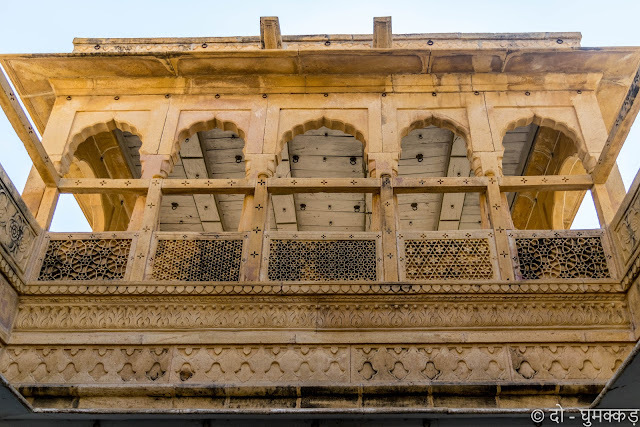 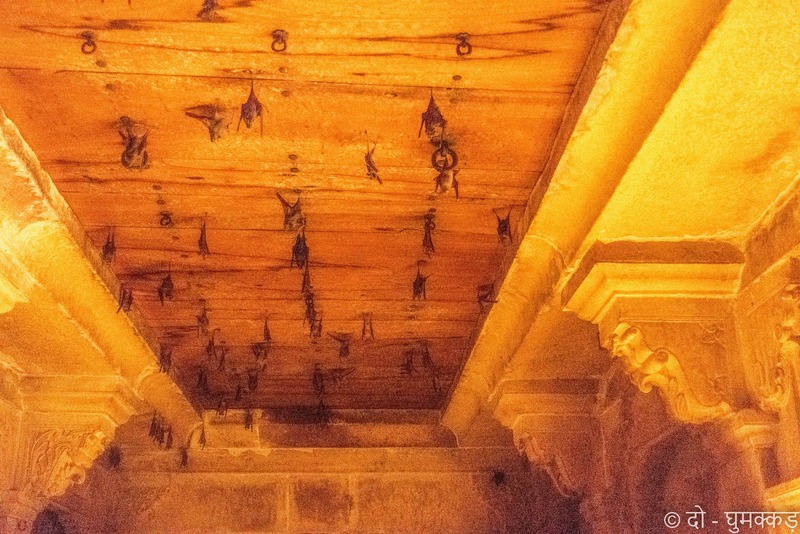 The engraved peococks on the hanging balconies of these Havelis looks very charming. 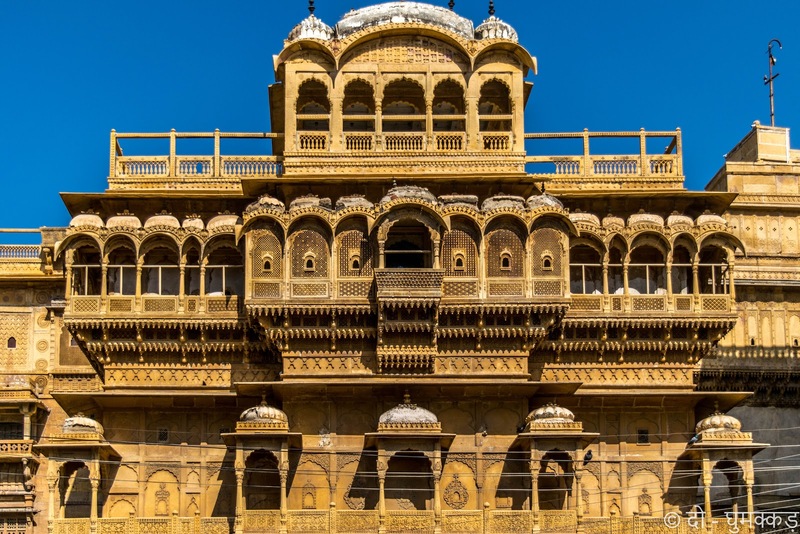 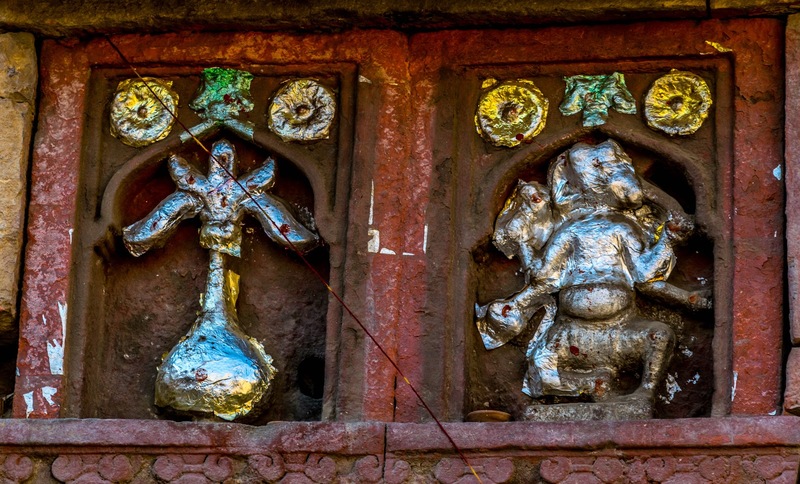 Whether it was Patwon-ki-Haveli, Nathmal-ki-Haveli or Salam Singh- ki-Haveli, the unique architectural design, splendid interior with beautiful intricate carving on the walls able to spellbound anyone. 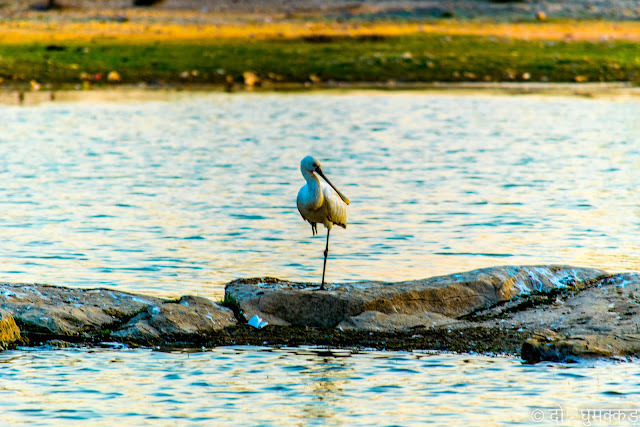 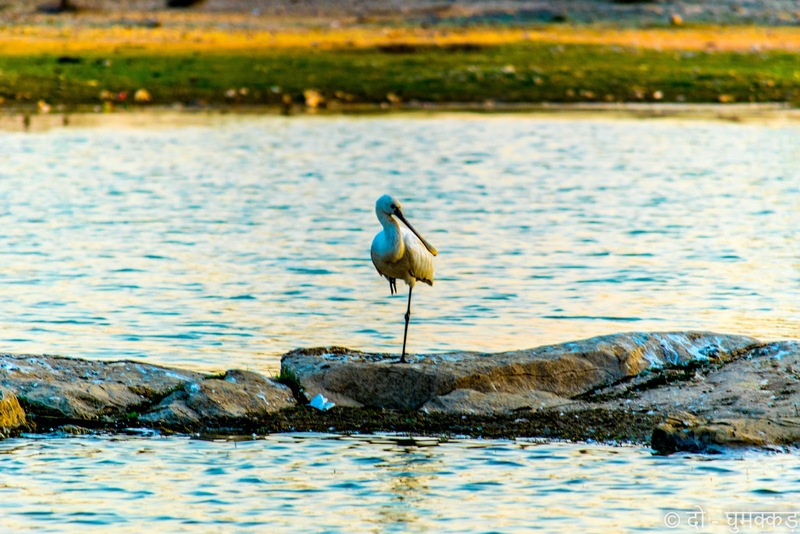 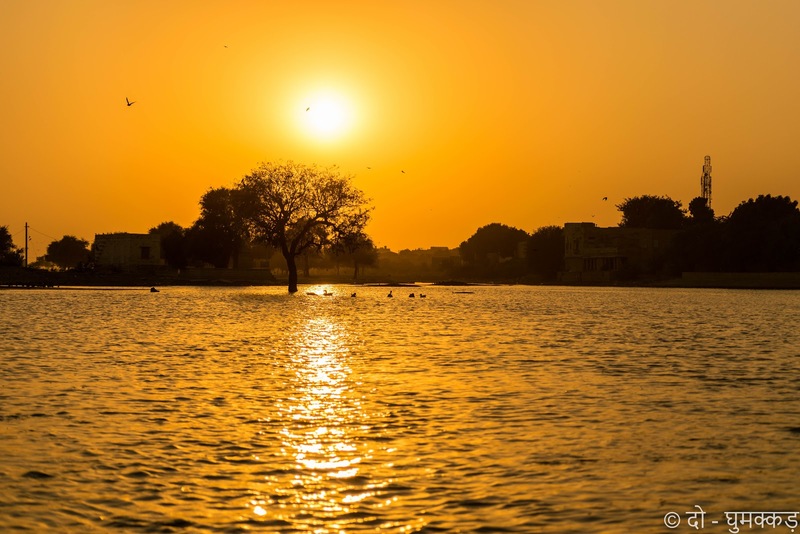 The other eye bliss of Jaisalmer is Gadisar lake. 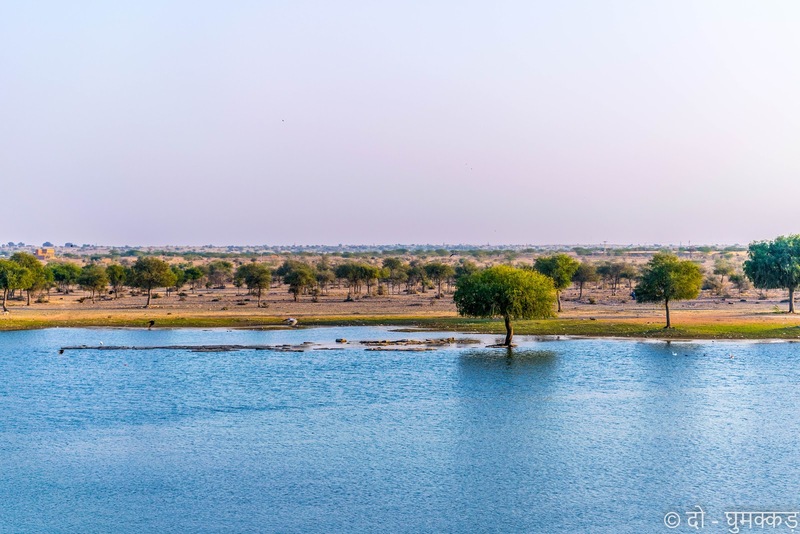 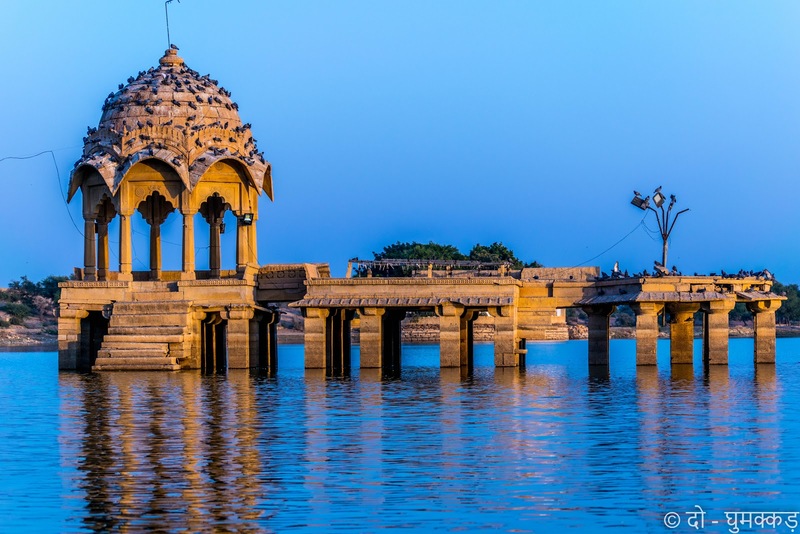 An artificial lake built around 1300 by Maharawal Gadsi Singh is now a lifeline of Jaisalmer and one among the few heritage lakes of India. The beauty of this lake is enhanced by the chhatris and other heritage buildings & temples around its bank. 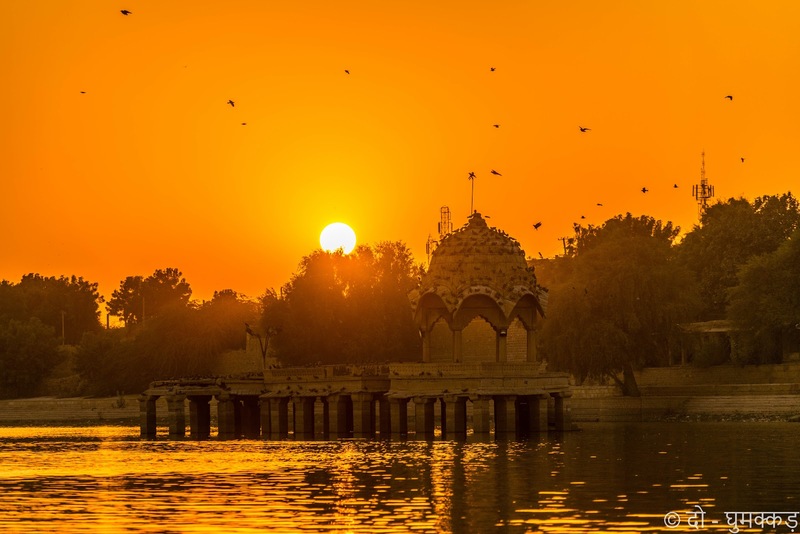 While enjoying the boat ride during sunset, one can see the picturesque view of Jaisalmer. 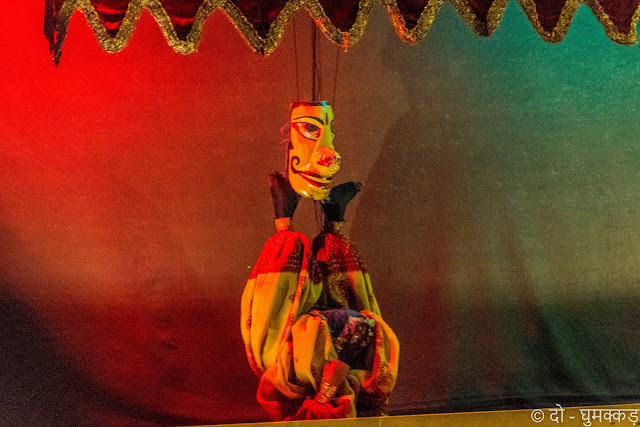 Returning from Gadisar lakes you can enjoy the famous puppet show just besides the lake at Desert Culture Centre. The effort of N.K Sharma, national awarded retired teacher for the preservation of cultural heritage, arts, music and folk traditions of Rajasthan is applaudable. 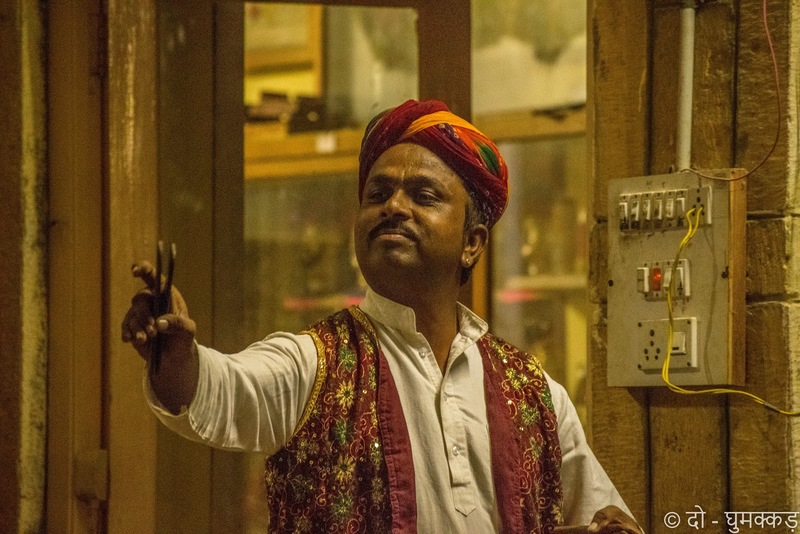 Under his supervision local folk artists ends your day in an artistic way and you are walking back to your hotel with tickling memories.